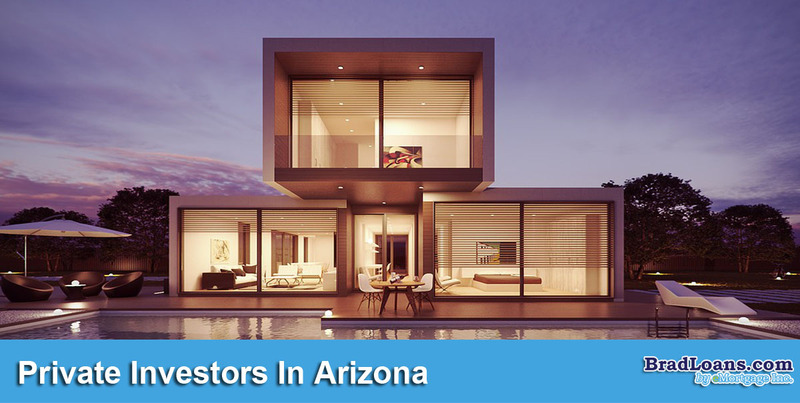 Searching for private investors in Arizona or Phoenix to invest in a real estate venture? If so Brad Loans by eMortgage can help! We have been working in the real estate investing for decades and lend hard money to help you get secure great opportunities. We offer hard money loans for both fix & flip investments along with owner occupant loans in Phoenix, Arizona. There are a number of reasons that real estate investors choose to seek, use, and prefer private investors and hard money loans. First of all traditional banks typically do not like to make short term loans for fix & flip real estate investments, where as a private investor probably has their own fix and flip or rental properties. Hard money loans from private investors are the quickest way to get funding for real estate purchases, so you can get to the opportunities faster than competition. Getting the money fast in Phoenix is the key to getting the best properties to flip as it is one of the fastest growing markets in the nation. Private investors have easier requirements for loan qualification, while banks typically have red tape for months. With Brad Loans private investing it is quick and easy to get the private investor loan you need to buy the great opportunity you have likely already found. Private money is the perfect source for local real estate investments. Brad Loans offers hard money loans as a private investor to Phoenix real estate investors.